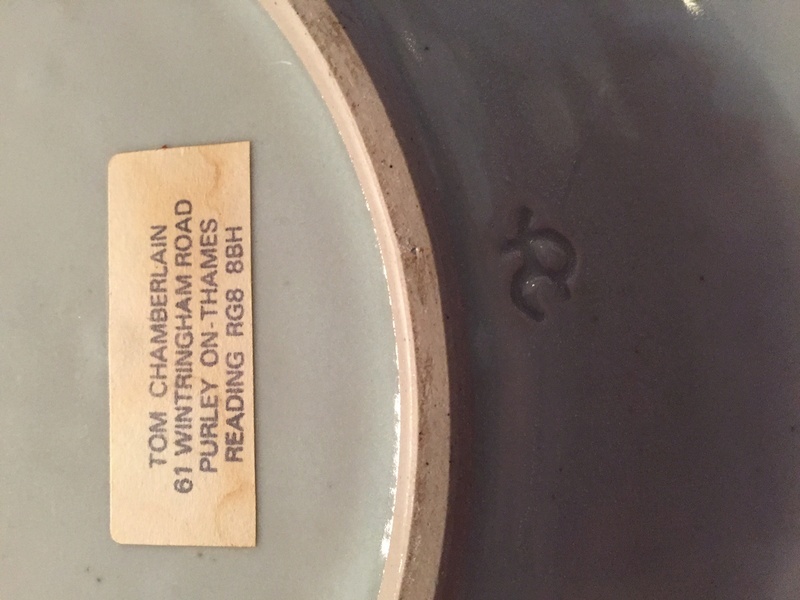 I have this wonderful wall plate - quite large by Tom Chamberlain - his mark and labels are on it. 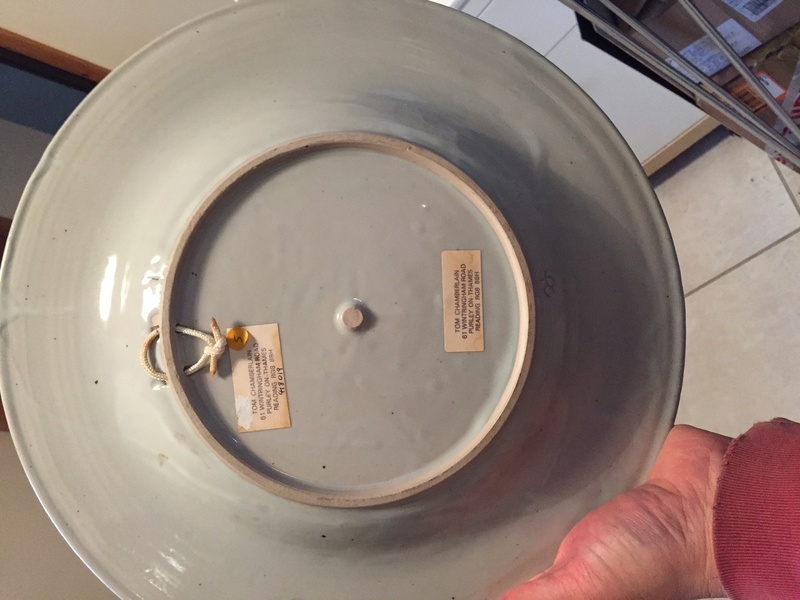 Thing is I can't find anything out about him - does anyone have any information - he was/is clearly a good potter. 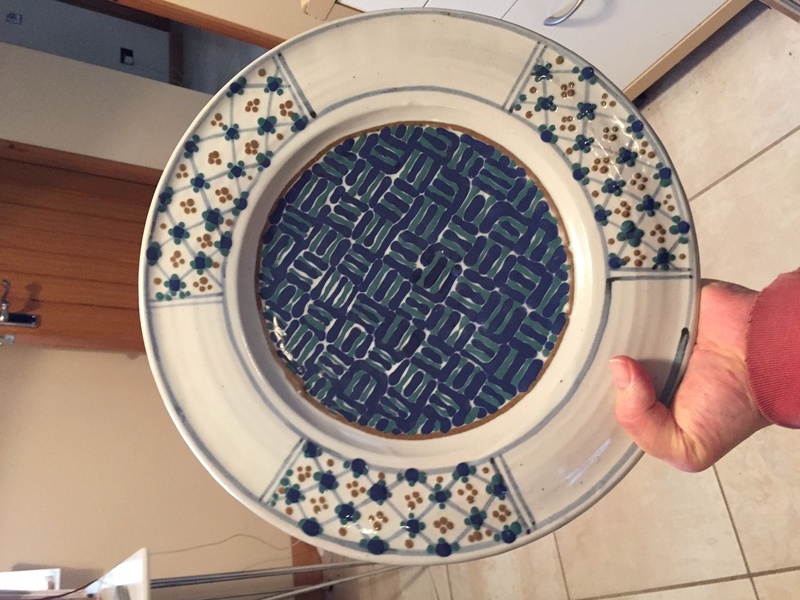 I thought this plate was maybe 70s. Unfortunately there's not much of an entry in the Marks book, and the mark there is different so he must have had more than one.